Sunosaki Shrine (洲崎神社) is located on the mouth of Tokyo Bay on Boso Side. It was built in 606 B.C.E. by Ameno Tominomikoto. Current location and shrine was built in 720 for protecting from sea accidents. There is another shrine on Yokosuka side and they are respected for the guardians of Tokyo Bay. 1. use local bus to Yoroji. Established: in the time of Emperor Jinmu. 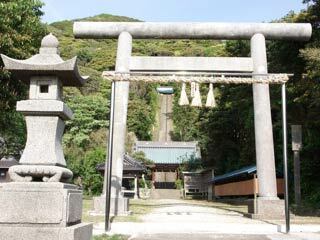 In 1180, when Minamoto no Yoritomo was escaped here form Izu, he visited this shrine and prayed for his victory. After his great victory against Heike, his wife Masako also visited this shrine for safe baby delivery. In Muromachi period, Ota Dokan, the founder of Edo, gave new shrine here. During the Edo period, this shrine was respected as the guardian of Tokyo Bay.